When thinking of romantic luxury holidays, paradise resorts, family fun and relaxing & rejuvenating hideaways St Lucia certainly springs to mind! With beauty in abundance, St Lucia boasts varied breath-taking landscapes, tropical wildlife and a diverse culture. Perfect for two, this magical Caribbean island is one of the leading honeymoon destinations in the world where couples can enjoy enchanted beach sunsets, champagne cruises, open-air massages and romantic picnics at selected resorts all over the island. Vibrant and colourful, this welcoming island is also perfect for a family break. St Lucia offers a whole host of activity for the whole family to enjoy. Family fun includes a wide array of water sports, catamaran cruises around the island, zip-lining through the rainforest and award-winning kids clubs in most resorts. 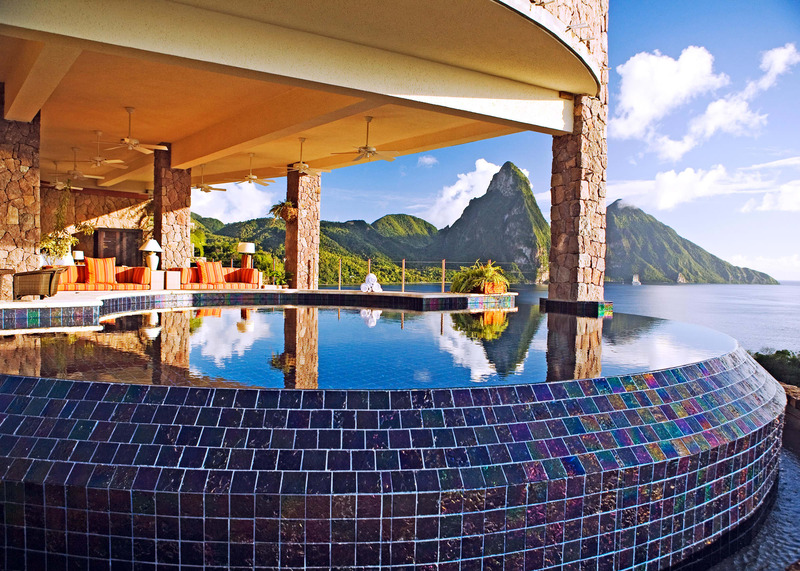 For those wanting pure luxury, St Lucia does not disappoint. Dotted around the island are 5* luxury resorts offering supreme comfort, exceptional service and idyllic surroundings. Accommodation ranges from boutique hotels, large all-inclusive resorts and quirky Caribbean properties. Those seeking adventure will find plenty to do on the island; take a scenic helicopter ride, go horseback riding along the sandy shores, mountain biking through the rainforest, dare to venture up the Piton peaks or ride a segway along a the many picturesque nature trails. Nature is plentiful in St Lucia and nature lovers will delights at the many nature trails to explore. Discover the rainforest and it's beautiful inhabitants including the local St Lucia Parrot known as the "jacquot", take a trip to the sulphur springs and bathe in the mud of the volcano, dive amongst the colourful marine life in the azure Caribbean waters, take in the natural beauty at the Diamond Botanical Gardens including the picturesque waterfall and learn about the way the island grows its crops. Whatever you choose to do, a luxury holiday to St Lucia will leave you with memories to last a lifetime. Amongst the mountains and the palm-fringed beaches are stories to be heard and adventures to be had. Learn from the locals about their culture and dine on delicious Caribbean cuisine. One thing is certain, you will want to return to this island paradise time and time again. See below for our best St Lucia offers or call one of our experienced Travel Consultants to discuss your needs.